Friday, April 1st is the launch of “Operation Jackson Rising”. Operation Jackson Rising is a grassroots effort to stop the Confederate Spring being ushered in by Governor Phil Bryant and the neo-confederate, Tea Party dominated state Republican Party. The Confederate Spring is an onslaught of reactionary legislation, being forced on Black, Indigenous, immigrant and working class communities in Mississippi and throughout the south. This assault is an effort to impose a neo-liberal social order that seeks to reestablish an open racial hierarchy, patriarchal dominance and hetero-normative hegemony. It is explicitly seeking to criminalize more sectors of the Black working class, to openly and legally discriminate against LGBTQI individuals, to privatize public education and eliminate any semblance of Black or ethnic studies, and reduce the scale and scope of the government to privatize essential goods and services by eliminating taxes and reduce revenues. 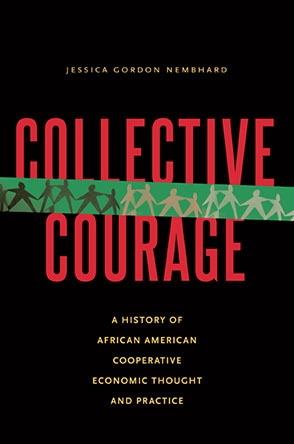 Cooperation Jackson has been working with the Coalition for Economic Justice which is specifically focused on combating the aspects of the Confederate Spring that are seeking to seize Jackson’s strategic assets and destroy Black political power in the city. This panel/workshop session will also provide some basic education, and give a context to the struggle for economic democracy in Jackson Mississippi and Cooperation Jackson's role as a vehicle designed to actualize economic democracy in Jackson, Mississippi.